Clark's mind wanders to a possible future. One where Lois is Superwoman once more, Jon has lost an eye and he now has a younger sister. During a ceremony seemingly bringing peace to the universe an attack happens that ends in destruction. Clark ponders as to whether it is a waking dream, but Lois gets him to focus and Jon continues his story. Jon has been transported to Earth 3 and, for reasons known only to Ultraman, he was kept alive imprisoned in the mouth of a volcano. He reveals to Jon that Superman as a youth was 'sent to another place' to 'reach his true potential' and perhaps this is exactly why Jon appeared to him. Ultraman visited the prison sporadically dishing out physical and mental punishment, which became less about Jon and more like therapy for the villain. After enduring the visits Jon carefully watched how Ultraman entered and exited the prison and used the same method to sneak away and hide amongst the local populace. 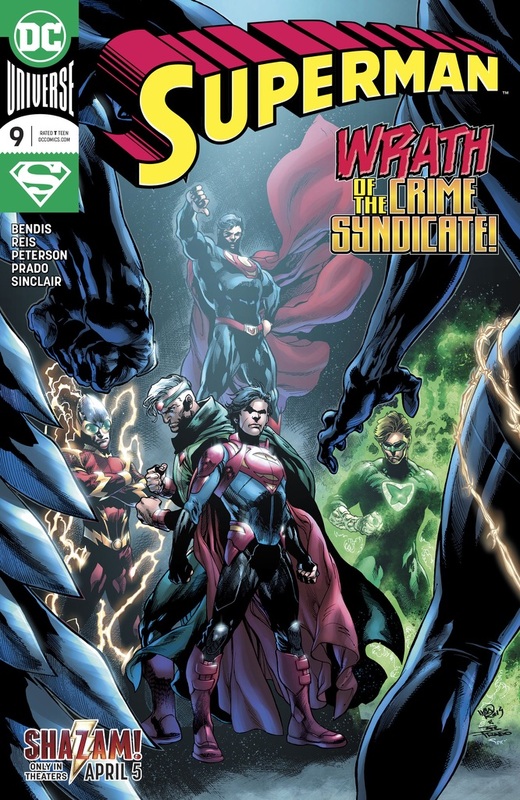 Jon theorizes that the base of the Crime Syndicate may have a way back to his Earth... or at least a way to send a signal. 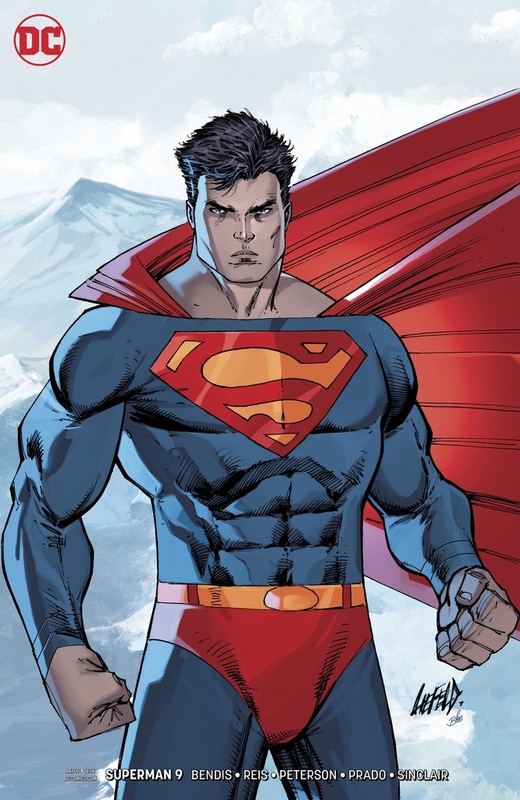 However, sneaking into the base forces Superboy to come face to face with his doppelgänger mother. Story - 2: Solid idea. A warped version of his father delivers tougher, darker parenting which is contrary to everything Lois & Clark taught him. Jon finally realizes just how good a life he had but this experience forces him to grow up and become more resourceful and self sufficient. The utopian future scene was out of place and awkward given its placement directly after Jon's dark comment last issue. Then there was the chain of events and imprisonment, it was so odd. "I'm rescuing you from the Syndicate to imprison you! Don't ask me why because I don't know!" What followed made little to no sense and the escape plan was not foreshadowed in any way. Then Jon knowing who the Crime Syndicate are - doesn't try to find the good guys of Earth 3 but instead tries to sneak into the base of the man that has kept him captive for months of torture. "Listen, Jersey City version of my dad, I see you're getting all ready to drop some big drama on me, but I am so not into it! Let go!" Make your own judgement from that. Art - 3: The nerd in me liked scanning the artwork in the dream sequence to see what is 'potentially' in store, however aside from that and the opening splash with the Syndicate the bulk of the issue was by the numbers, mainly because the art team were given next to nothing to work with. Cover Art - 3: Jon is still ten at this point so I'm a bit weirded out by how muscular he is. I also feel a little disappointed that this scene didn't actually happen as it would have been pretty epic. Variant Cover Art - 3: Another Liefield cover this month. This time a closer shot of the Man of Steel. It looks great but doesn't look fully realized. I feel like it is more of a sketch cover compared to last month's offering. I wish it was an action shot, as Liefield is famous for more energetic artwork.